While it is not Spring yet, we did reset the clocks for Daylight Savings Time over the weekend and that adds anticipation for the upcoming season change. There are several Railroad Prototype Modeler events in the next few months for modelers to become inspired to move your model efforts forward. Here are the events! I strongly recommend attending one of these events to learn more about the prototype and new techniques to use on your model building. I’ll be attending the Valley Forge event and giving a presentation on the B&O Wheeling Freight Terminal prototype and layout update. I hope to see you there! All of the blog posts here have been updated so all images appear again. There was a small coding problem that occurred with a software upgrade. It took a little while to figure out the problem and then some extra time to make the individual corrections, but that work has been completed and new posts are on the way soon! Author Eric HansmannPosted on March 10, 2014 Categories Models, RPM meetTags Prototype, RPM MeetLeave a comment on RPM Meet season! A mostly completed end wall. Building models using a minimum of commercial parts or set directions is often referred to as scratchbuilding. 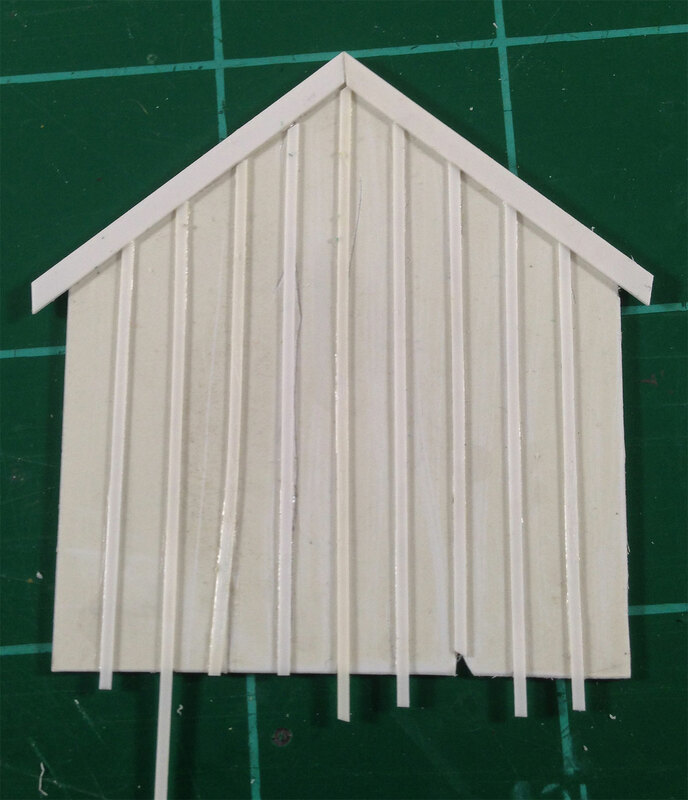 Anyone who is building a model railroad that closely follows a specific prototype location will need to scratchbuild a number of structures to capture the look and feel of the real place. In some cases, commercial models can be modified and altered to represent an actual structure but those instances are infrequent. Scratchbuilding has challenged many model railroaders over the years. The fear of failing or messing up a project inhibits many modelers. I think all model railroaders should attempt at least one scratchbuilt structure. I recently finished two small buildings and learned new skills in the process. Click on any image here to review a large size. Let’s take a look at one of these projects. An O scale model on display at RPM-East. Wow, the month of March just blew right by in a blur of travel and activity. I returned to western Pennsylvania to visit with family and friends for the Easter holiday. I also attended the RPM-East prototype modeler meet in Greensburg, PA. I’ve been attending since 2001 and always enjoy the event. My weeks before the event were filled as I balanced work and family tasks with preparations for my presentation, Prototype Inspired Layout Design for Limited Spaces. Much of the talk focused on similar themes that I’ve been posting here on the blog. The feedback was strong and I had extended conversations with a few people to help them with their layout planning. I gave a second presentation on Modeling Railroads of a pre-Depression Era that opened a few eyes to the different look of rail equipment and city scapes of the first few decades in the 20th Century. It was wonderful visiting my old stomping grounds and renewing many friendships at the RPM-East event. I’ve posted a gallery of images I captured in the model display room. About 400 models were on display. 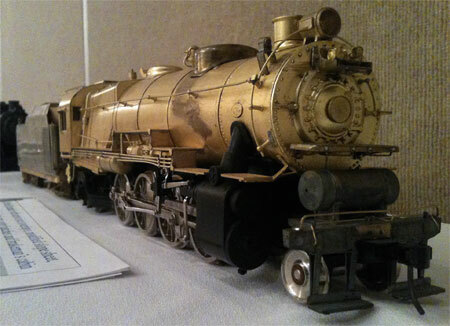 The image above is a fine O scale effort that Larry Kline displayed. Overall, about 150 hobbyists attended. There were 40 presentations, several vendors, and eight home layouts to view. I’m back in El Paso and can’t wait to get back to work on the railroad. I have another track tip up my sleeve as well as a layout update that will be shared here very soon. Please feel free to leave some thoughts. All comments will appear once approved. Gotta keep the spam in control, ya know! Author Eric HansmannPosted on April 2, 2013 March 1, 2014 Categories ModelsLeave a comment on RPM-East a success! It’s been a busy start to a new year as a new job has kept me busy and has slowed progress on the layout project. I’m also helping to spread the word for an upcoming prototype modeler meet. RPM-East will be held March 22 & 23, 2013 in Greensburg, Pennsylvania, about 40 miles east of Pittsburgh. I’ve been attending RPM-East events since the first one in 2001. These are wonderful events packed with many interesting prototype and model presentations. The setting is informal and it’s easy to get into a discussion with others. I think I’ve learned just as much in the model display room as I have in the presentations! Speaking of models, there will be a few hundred on display. I captured many of the 2011 display models as digital images and I’m looking forward to seeing more in just a few weeks. If you have the time and some extra hobby funds, I encourage you to spend a few days in Greensburg, PA at RPM-East. It’s a great way to recharge your model railroad inspiration. I’ll be coming in from Texas to soak it all in and give a presentation. If you go, flag me down and say hello. If you can’t get to RPM-East, there are a number of these events held around the country. The Western Prototype Modeler meet is April 13. The New England and Northeast meet is May 31 and June 1. The Northeastern Fallen Flags meet will be held in late September.